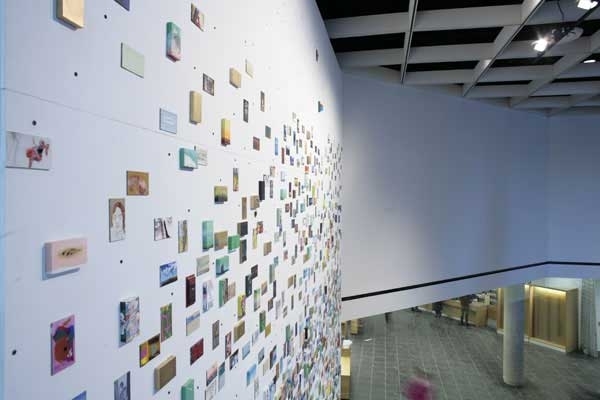 This major installation by Cliff Eyland was created specifically for the Millennium Library in Winnipeg that underwent an extensive renovation during 2004-2005. Mr. Eyland’s work is featured on the large two-storey wall in the Library’s main lobby. Selected from nearly 70 submissions, the artwork by Cliff Eyland was one of the first to be completed under the auspices of the City of Winnipeg’s new public art policy. 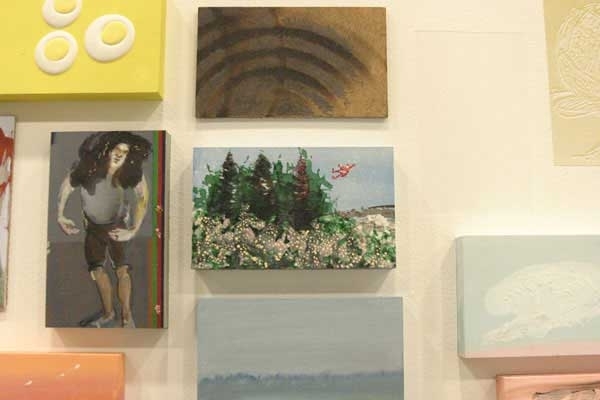 Established in 2004 to direct the integration of artwork into public spaces, the policy and program is administered by the Winnipeg Arts Council on behalf of and in collaboration with the City of Winnipeg. 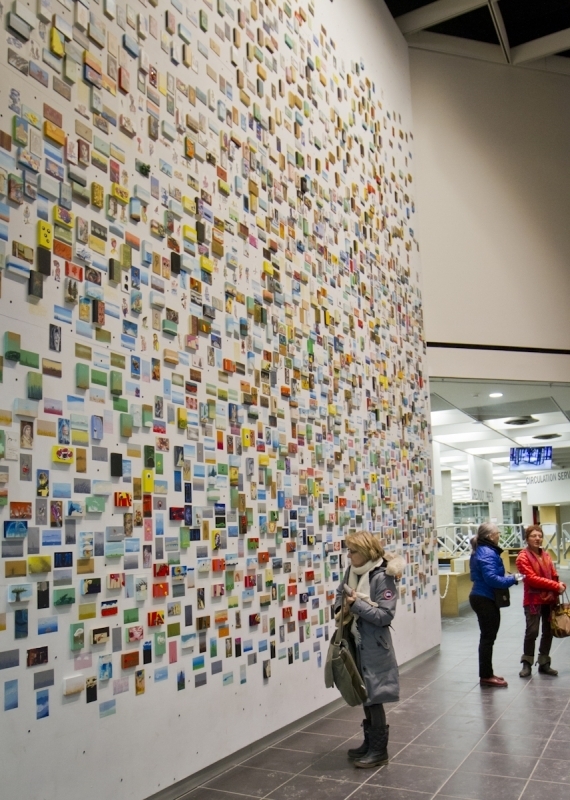 The competition for one or more site-specific, permanent public art works for the newly renovated central branch of the Winnipeg Public Library took place in the fall of 2004. Proposals were received from artists across Canada. The artists were asked to address in their proposals the idea of libraries in the 21st century, exploring, for example, notions of information gathering, access to information, literacy, and culture. 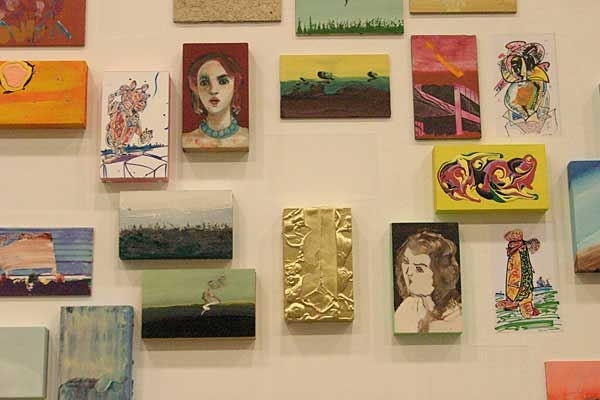 Eyland’s installation Untitled was originally composed of 1000 paintings, but the artist has continually added to the work since its installation. 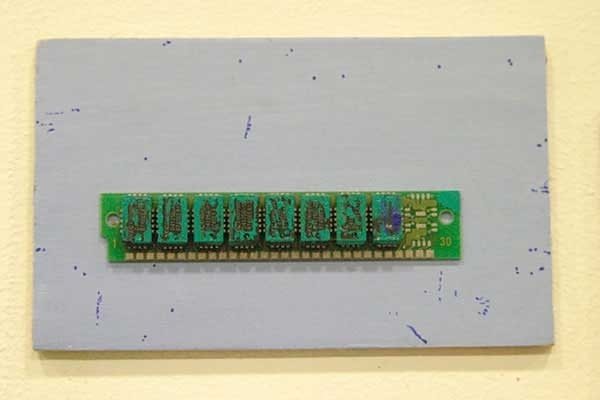 At a distance the painting read as an abstract, pixilated surface conjuring up representations of digitized computer information. 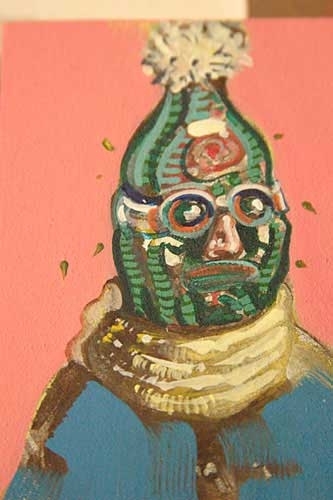 The subject matter of the paintings includes landscapes, skies and figures and faces of people the artist has seen in Winnipeg during his years here as a resident since 1994. A CD-ROM that fully documents the individual paintings is available to the Library as a website/CD-ROM production that can be employed like a bird-watching manual. Works are densely arranged and, as with bird-watching, can be further inspected with binoculars. To view the web site go to: Eyland Library. 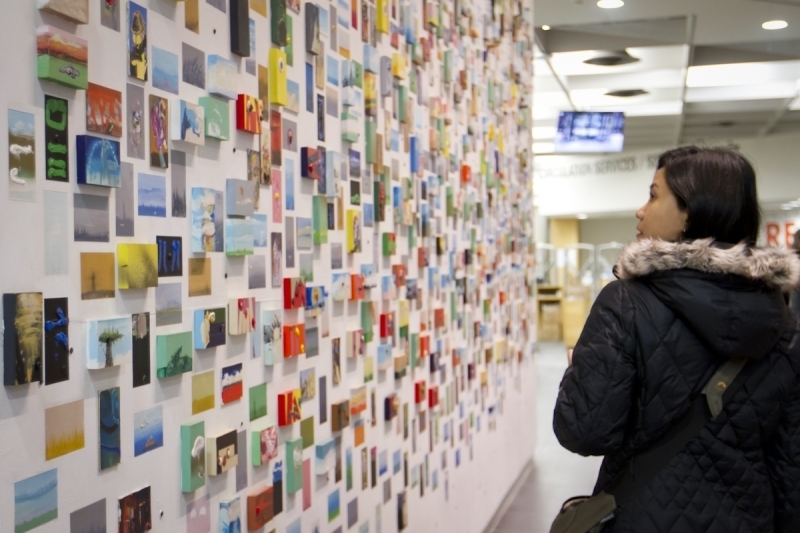 “Since I first became an artist I have been interested in changing the way people think about art galleries and libraries. For me, the most important art institution has always been the library not the art gallery,” says Eyland. 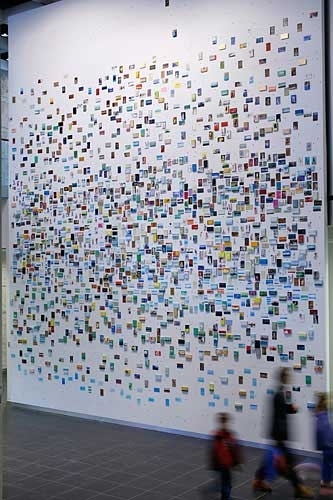 “A wall of one thousand file card paintings is an instance of what I call scattered cataloging, a kind of random cataloging”. 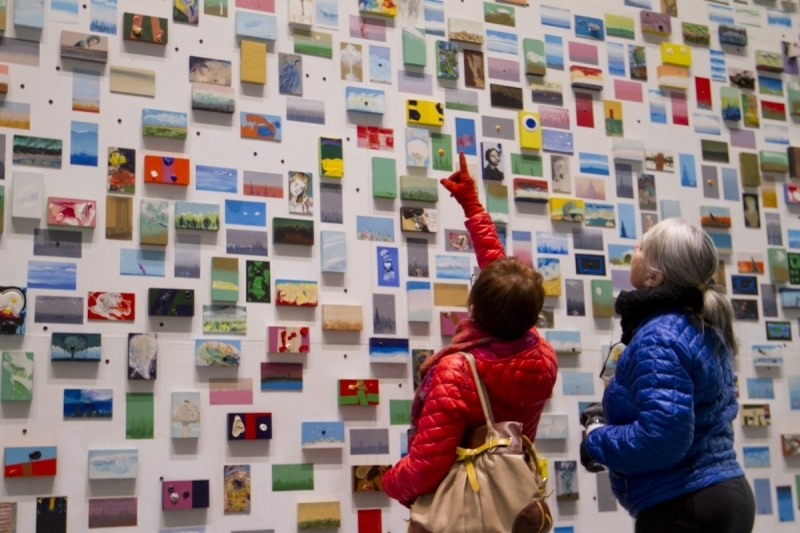 Since 1981 Cliff Eyland has been making artworks the size of the traditional 3" by 5" library catalogue card. These works have included paintings, drawings, and photographs, and have been shown in libraries and art galleries. 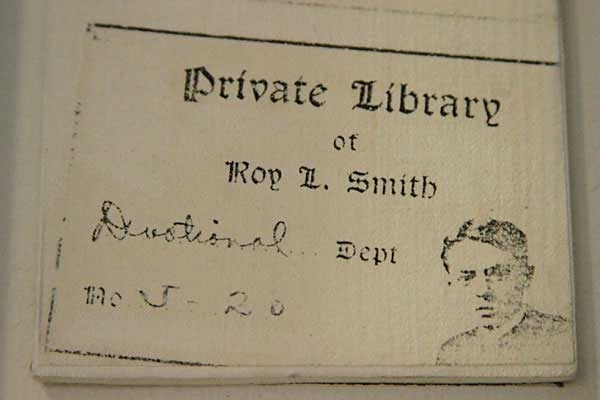 He has also inserted thousands of original drawings in library books in Canada, the United States and Europe. 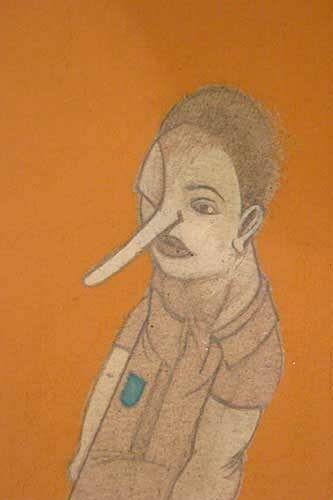 Several major Canadian art galleries have mounted solo exhibitions of Eyland’s work and he has participated in group exhibitions in many other venues. 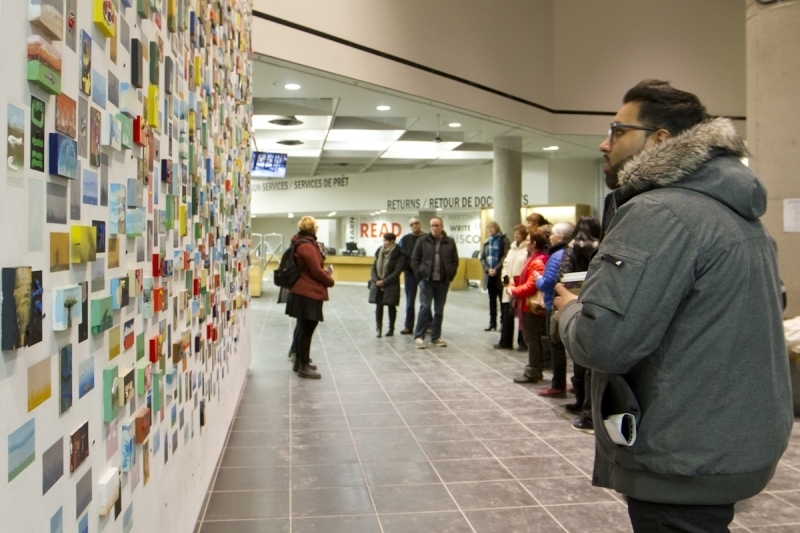 Eyland's recent public commissions include a 600 piece installation at Edmonton's Meadows Library, a 5000 work installation at the Halifax Central Library, and an 8 work per room installation at Winnipeg's Alt Hotel.